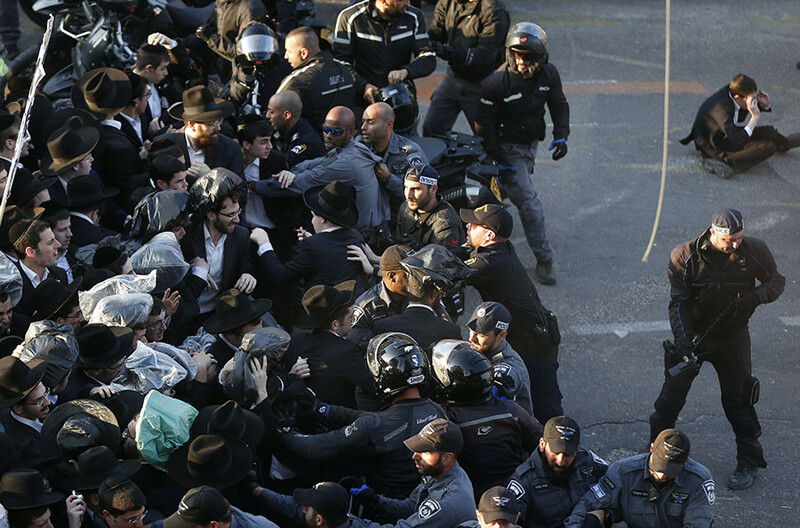 Hundreds of Ultra-Orthodox Jews have blocked roads and clashed with police in Israel, protesting military drafts. Footage shows protesters being dragged away by law enforcement. 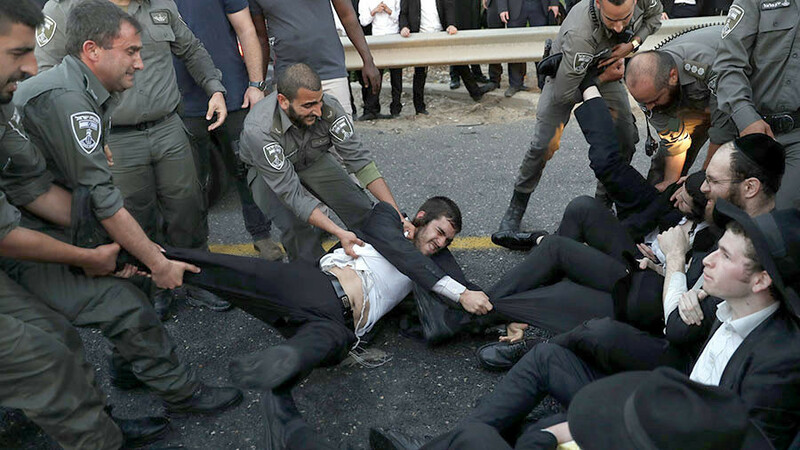 The latest violent encounter between the members of Ultra-Orthodox community and law enforcement happened in the center of Bnei Brak city, several kilometers east of Tel Aviv, on Monday evening, Israeli media reported. Demonstrators blocked the city’s main road and a nearby highway, leading to scuffles with police. “We’d rather die and not enlist, we’ll happily go to jail,” the demonstrators were heard shouting. 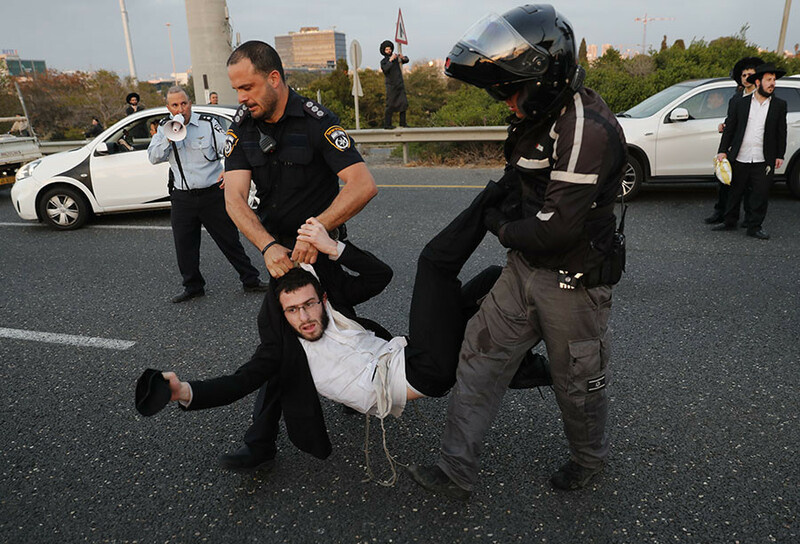 The banners held by young ultra-Orthodox said: “Stop the oppression of the religious minority in Israel.” The rally followed a similar protest on Thursday when the demonstrators gathered against the arrest of a young man, a member of the radical Jerusalem Faction. 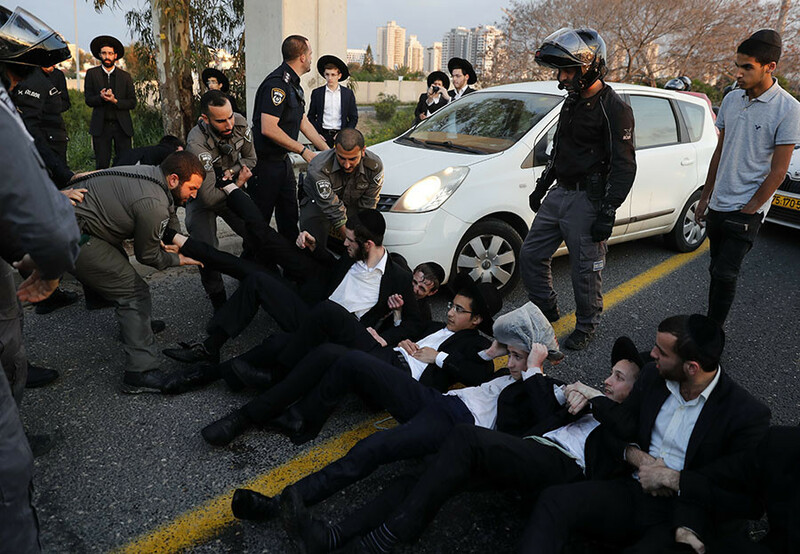 The protesters criticized ultra-Orthodox leaders in the Knesset, the legislative branch of the Israeli government, which on Sunday reached a compromise with Prime Minister Benjamin Netanyahu on the controversial conscription bill on military exemption. According to the proposal, ultra-Orthodox Israelis will be largely exempt from enlisting in the IDF. However, young men will have to report to enlistment offices in order to sign a deferral of service, a move which Jerusalem faction leaders still defied. In Israel, ultra-Orthodox Haredi Jews have traditionally been exempt from military service. They insist that they have always served the society through prayer and study and helped to protect Jewish culture. However in September 2017, Israel’s Supreme Court annulled the law which exempted ultra-Orthodox Jews from being conscripted into the army. The legislation drew furious responses from the community, including mass protests and rallies in front of the houses of IDF senior officials. Israel has long had a compulsory draft, with men serving in the military for nearly three years and women for two years. ‘Fewer Than 1 Million Jews Killed in Holocaust,’ Says NY Ultra-Orthodox Rabbi. Orthodox Jews: Part of the Solution or the Core of the Problem?